Opening tonight via the standard advance-night screenings, STX Entertainment’s Mile 22 is another one of their “old-school movie star cast to type” star vehicles that they would like to see become their stock and trade. In this case, it’s another Peter Berg-directed action drama for Mark Wahlberg. It’s their fourth film together in under five years, but it’s the first one that isn’t a true-life historical tragedy. As always, the whole “Mark Wahlberg: movie star” situation is one that must be viewed through a new-fangled lens. It was just 6.5 years ago when Wahlberg was opening stuff like Contraband to $25 million on his name alone. And Lone Survivor opened with $35m in January 2014. That his last several star vehicles have comparatively suffered has as much to do with the “new normal” (adults don’t see adult movies in theaters as much as they did before Netflix and related VOD/streaming outlets offered a buffet of adult-skewing entertainments) as with any actual dwindling star power. He’s still a draw in the right project (Instant Family sounds like a winner), but Wahlberg as a rough-n-tumble action hero isn’t as big of a sell as it once was. It won’t help that adults flocking to the movies this weekend will likely either check out Warner Bros./Time Warner Inc.'s Crazy Rich Asians or catch up on the likes of Paramount/Viacom Inc.'s Mission: Impossible – Fallout or Universal/Comcast Corp.'s Mamma Mia! Here We Go Again. With little buzz and (presumably) mixed-to-negative reviews, this one will be entirely about whether moviegoers still want to spend the time and money to see a popular movie star doing the action hero thing in an original guns-and-explosions melodrama. As such, anything close to $20 million qualifies as a relative win for the $35m-budgeted action flick. Mile 22 takes an inordinate amount of time to set up its relatively simple story, offering a narrative that makes the whole thing seem a lot more confusing than it actually is. It’s a little telling that John Malkovich (as the boss of Mark Wahlberg’s super-secret black ops unit) has to stop the movie dead in its tracks to essentially explain the plot with all of the succinctness of a trailer monologue. Coming nearly halfway into the 90-minute actioner, the exposition confirms that, yes, this movie is as simple as we thought and much of the first half was padding and/or overly elaborate buffering. Yes, this is an old-school “good guys gotta get a potential witness/turncoat bad guy to a specific location while bad guys try to stop them” adventure. But it takes a good long while to get to that point in the story. Having said that, there’s nothing wrong with an action movie that takes its time with character work and/or inside baseball intricacies as a way to offer some specific flavoring to a run-of-the-mill run-n-gun melodrama. We do get to know these super-agents as the plot unfolds, so we do care at least a little when they end up in harm’s way. Following a suspenseful introductory action sequence, we spend some time with our heroes as they are confronted with an asset (Iko Uwais) who demands safe passage in exchange for vital information about a potentially catastrophic terrorist attack. Leading the charge is James Silva (Wahlberg), who is presented as an “on the spectrum” savant. It’s an interesting detail, especially as Wahlberg isn’t known for playing super-geniuses, but the movie can’t quite decide whether it’s a mere character trait or a defining feature. In the end, it’s pretty irrelevant as Wahlberg’s lead eventually becomes a conventional leading man action hero. Nonetheless, its inclusion adds a specificity. Lauren Cohan plays the agent who’s responsible for this informant. While she gets a conventional “fighting with an ex-husband and feeling neglectful to her daughter” plot, it’s well-played and she’s not the only female agent on the team. Ronda Rousey plays, well, Ronda Rousey. But, almost by default, the movie feels almost over by the time the actual plot kicks into gear. Considering the narrative rope-a-dope in the first act, including a confusing and needless framing device that makes the film feel like a victim of post-production tinkering, it is occasionally entertaining and occasionally engrossing despite itself. Credit director Peter Berg’s sharp direction, even during the non-action scenes, and just enough intrigue in Lea Carpenter’s detailed and specific screenplay that you won’t really realize how hollow the whole thing is until it’s very… unusual ending. It helps that the actors are all up-to-snuff and the action occasionally sizzles. We do get two big action set-pieces in the film’s first half, including a hospital-set fight scene that will remind you how much you liked The Raid. And while the second half is essentially two reels’ worth of our heroes getting Clear and Present Danger-ed (amazingly, Joaquim de Almeida is nowhere to be found), it offers just enough real-world panic among the civilians (and those whose homes become warzones) to work as more than just pure pyrotechnics. It never engages the morality of the standard “righteous American super-soldiers turning a sovereign nation into a war zone in order to protect other Americans” thing, but c’est la vie. Mile 22 sputters out in the end, and its overall arc (no spoilers) renders it oddly impotent and irrelevant, both in terms of its own value as a stand-alone motion picture and the alleged franchise that Wahlberg and Berg seem sure that they are about to launch. But the journey has its pleasures, including Sam Medina as the chief adversary. To the film’s credit, he is not so much the bad guy but merely the guy on the other side doing his (subjectively) equally important job. 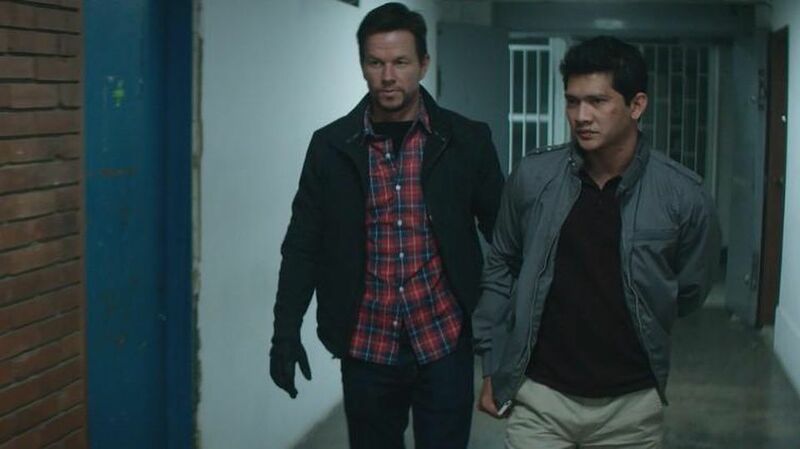 Medina and Wahlberg aren’t enemies so much as kindred spirits on the opposite sides of the firing line. When it stops trying to impress the audience (or cover up for severe tinkering or post-production alterations), Peter Berg’s Mile 22 works as a solid-enough Saturday afternoon matinee actioner. The action is sufficiently brutal and well-staged, and the character work is just interesting enough to be more than run-of-the-mill. There is a certain cynical detachment that makes it feel closer to The Spy Who Came In From the Cold than Rambo: First Blood Part II, and it stands out despite (or because of) its trespasses. I would say Mile 22 makes an ideal MoviePass movie if MoviePass wasn’t drowning in its own blood at the moment. I've studied the film industry, both academically and informally, and with an emphasis in box office analysis, for 28 years. I have extensively written about all of said subjects for the last ten years. My outlets for film criticism, box office commentary, and film-skewing s.